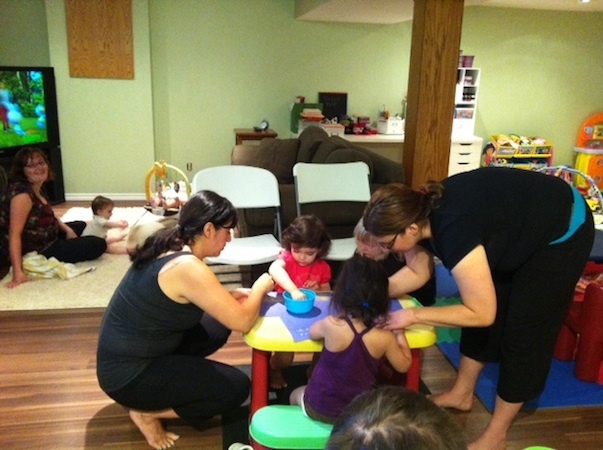 momstown Winnipeg: Tales for Tots go to the Beach! This month our Tots went on an imaginary trip to the beach! Learning all about sandcastles, fish, and playing with sand. Each month we have a themed curriculum from momstown. 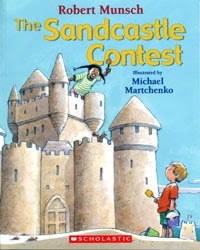 This month was At the Beach and to go along with that theme we read the book The Sandcastle Contest. This is a classic from Robert Munch and the kids really enjoyed it! If you missed this event, here's a recap of the book. A big thank you to our sponsor Scholastic for providing us with not just one but a second book to give away to one lucky tot! Congratulations to Maisie who won the book! After reading the book we gathered to make some fun crafts. 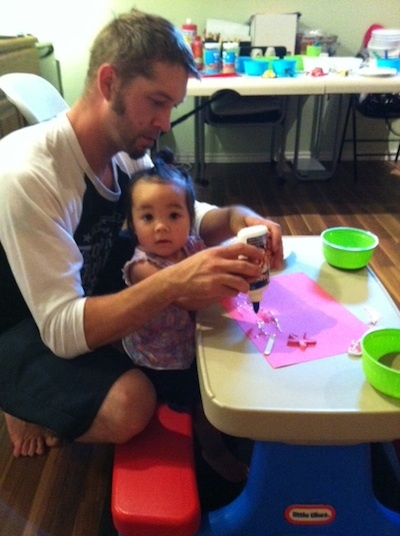 We had crafts for kids of all ages. 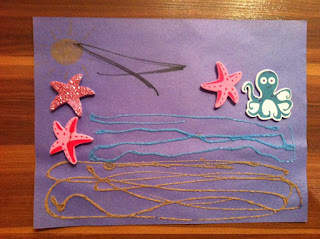 The younger ones enjoyed making art using glue and sand, while the older ones made sea creatures and fish bowls. Join us at next month's Tales for Tots where we'll be making some music!